Rinske Hillen will travel to Budapest to perform at the European First Novel Festival, a part of the Budapest International Book Festival. She will participate in a podium discussion led by András Forgách with a dozen other European writers who recently published their first book. Rinske Hillen (1975) studied philosophy at Cambridge and Amsterdam, and law in Utrecht. 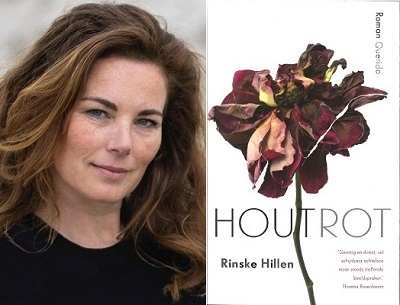 Her first novel Houtrot (Dry Rot, 2017) won the ANV Award for Best Debut. Her second novel Mannenmaal will appear in 2019.